We are a leading supplier of Pneumatic Chipper. 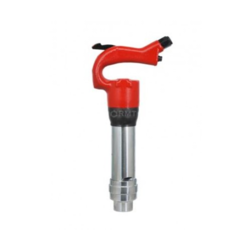 We are a topmost organization is offering Air Flux Chipper to our clients. Metal of excellent quality has been used for development of Flux Chipper. Ideal for removing weld splatter and rust, Air Chippers offer quick and efficient performance. 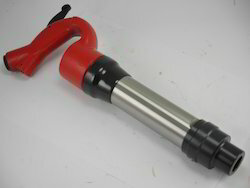 Designed for industrial applications, these chippers are obtained from the certified vendors of the market. Efficient in removing debris from most surfaces, our entire range of air chippers reap immense appreciations from the clients. Captivating the skills of our professionals, we are presenting a wide array of Pneumatic Chipping Machine. The Pneumatic Chipping Machine offered by us is highly acclaimed by the clients for their precise use. Besides this, one can get this array in committed time bound. Air Inlet Size (NPT): 3/8'', 1/4"